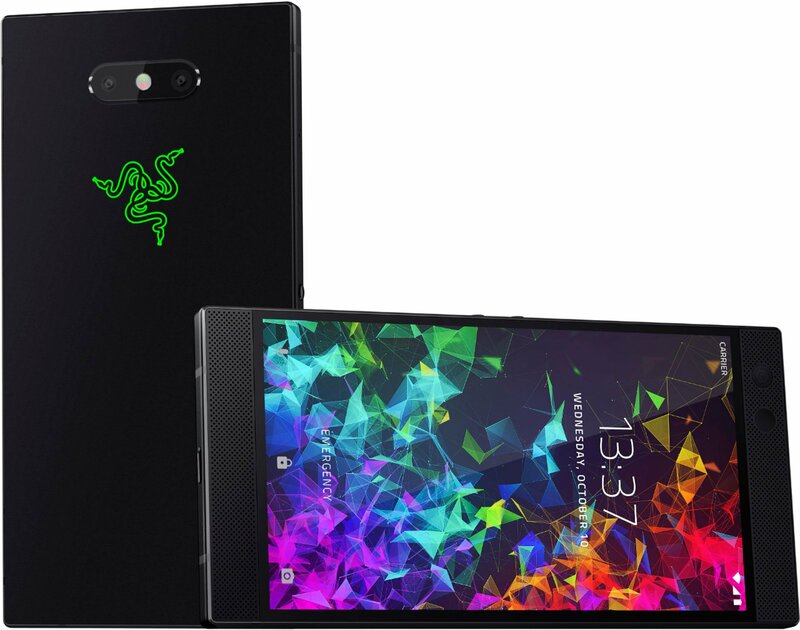 Just a day after Google announces its Pixel 3 and Pixel 3 XL, we will see Razer launching the Razer Phone 2. Last year, Razer surprised everyone when it announced that it is going to launch a gaming smartphone. The Razer Phone of 2017 had some great features like stereo front-firing speakers, a huge 4,000mAh battery, 120Hz display, etc. It didn’t have a good set of cameras which was pretty obvious since it was a phone meant for gaming. With the upcoming Razer Phone 2, we are expecting an improvement in every department including the cameras. Today, Evan Blass posted the official press image of the phone on Twitter that finally confirmed the rumored design and also the previous leaks. So, the phone looks the same as the first generation, at least from the front. There is a 16:9 display and stereo front-firing speakers. The earpiece and the front camera placement is also the same. On the rear, there is a dual camera setup but the camera setup and LED flash are now placed in the middle. The Razer logo is below the camera setup, and as per Evan, the logo glows as well. This confirms the previous reports of Chroma lighting. The specifications include Snapdragon 845 processor, up to 8GB RAM, 512GB ROM, Quad-HD 16:9 IGZO IPS display, 120Hz display supporting Qualcomm’s Q-Sync and Android 8.1.0 Oreo.